Agincourt Collegiate is the oldest high school in the city of Scarborough, Ontario, having recently celebrated its 100th Anniversary as an educational institution. The music program currently has approximately 150 string students who participate in our school’s orchestral programs. 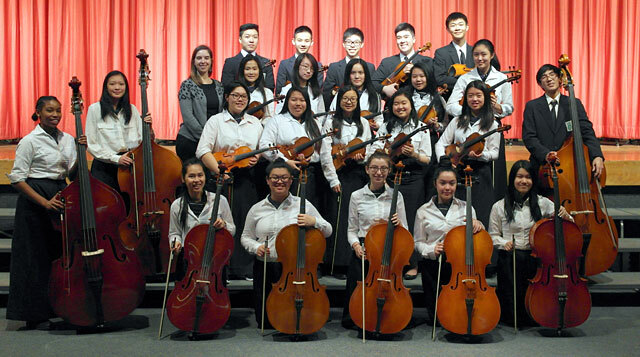 The Agincourt Chamber Orchestra is the school’s only auditioned string ensemble. This ensemble meets once a week to prepare challenging, high quality string orchestra repertoire. The members of this ensemble are also the core of the string section of the school’s Symphony Orchestra. These students are very active in our school community, school councils, sports teams, other music ensembles as well as maintaining high academic standards. This ensemble plays in our school community, for school board functions, as well as in competitive festivals such as Kiwanis Music Festival and MusicFest Nationals.